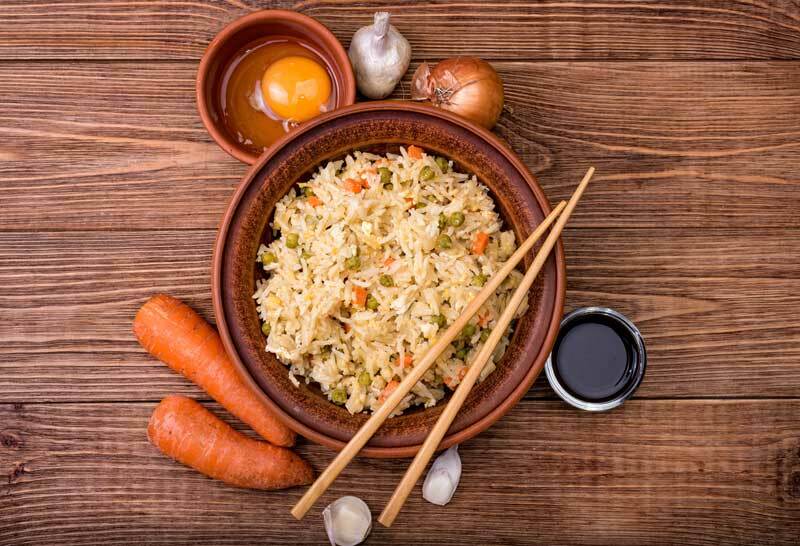 East Asian cuisines are increasingly popular in restaurants across the nation. While they influence each other, there are some characteristic differences. Soy sauce, sesame oil and ginger are fairly common in East Asian recipes. Koreans are better known for fermented foods, beef and gochujang chili paste. Japanese are famous for fresh seafood (think sushi), seaweed and light, crispy frying. Chinese bring us the thick, rich and spicy sauces, and aromatic stir-frying. We hope you enjoy the collection we’ve been curating. Bibimbap (Korean Mixed Rice ..
Kimchi Beef Fried Rice (Kimc..